If you’re just beginning your search for your dream Spanish home, we know that one of the key questions that you’ll be asking is ‘what are the house prices in Spain?’. The answer is that, like anywhere, house prices in Spain can vary greatly. However, the different regions do often have house prices that fall within certain brackets. This guide is designed to help you get a better idea of house prices in Spain along the South coast. We’ll take a look at average prices across Costa Blanca, Murcia and Costa del Sol, so that when the time comes for you to start your Spanish property search, you will be able to make an informed decision and choose a property in a region that suits your budget and requirements. The Costa Blanca region is an affordable choice for property, enabling many of our UK clients to purchase a holiday home there as well as maintaining a base in the UK. For those looking to make a more permanent move, you can often get a lot more for your money. 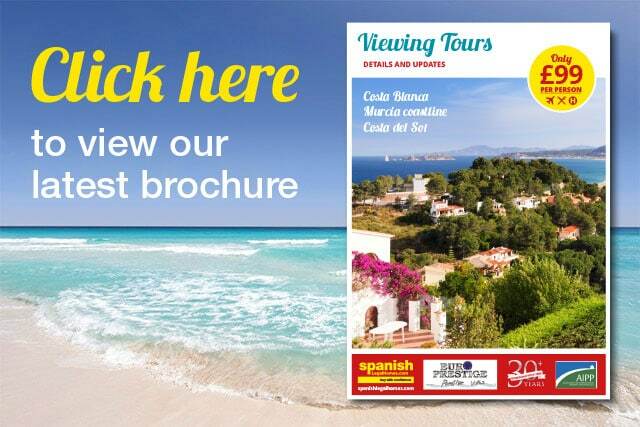 This is especially true for the more southerly resorts, such as Torrevieja and Orihuela Costa. These areas are particularly popular for holiday homes due to the affordable prices, an enviable climate, close proximity to airports, and stunning beaches. It’s not just the house prices that are reasonable, there are also numerous affordable golf courses, marinas, and waterparks nearby to entertain the whole family. As you begin to explore the different areas of Costa Blanca, you will notice that house prices in the North tend to be slightly higher. These areas, such as Javéa and Denia, maintain a more traditional Spanish way of life, and as they are slightly further from the airports, they usually appeal more to permanent residents and retirees rather than holiday-goers. If you’re on a budget and are considering Costa Blanca as a location to buy, there are numerous apartments on the market from €80,000 to €150,000. You can even find ultra-modern, new build 3 bed villas for less than €250,000! For more information on Costa Blanca, and to view a selection of our Costa Blanca properties, click here >>. Properties in Murcia are often sought-after due to its range of championship level golf courses, fantastic climate, and its coast known as the Costa Cálida, “warm coast”. Despite being home to numerous benefits such as these, property in Murcia remains very affordable. Although considerably less developed than Costa Blanca, Murcia is a popular location for modern developments and offers a variety of stunning new build properties available at reasonable prices. Often located on or near golf courses, these properties are perfect for golf enthusiasts who want to enjoy benefits such as stunning views, friendly communities of expats and exclusive club facilities such as tennis courts and restaurants. But it’s not just the golf facilities and the beautiful coastline that makes Murcia special. The region is stacked with history and culture; being home to the famous Cathedral de Santa Maria and Lorca Castle. Like with Costa Blanca, property prices in Murcia increase as you move away from the more built-up, commercial areas, however, you can still find your dream apartment, townhouse or villa for sale at extremely reasonable prices. For more information on Murcia, and to view a selection of our Murcia properties, click here >>. A little further along Spain’s South coast, you reach the popular region of Costa del Sol. Property in this area is extremely sought-after due to the beautiful sandy beaches, the abundance of luxury bars, restaurants, golf courses and shops, and a whopping average of 320 days of sunshine per year. The Costa del Sol really does live up to its name ‘Coast of the Sun’! Unlike other Spanish hot spots, Costa del Sol’s popularity is fairly recent; it wasn’t until the 1950s that the tourist trade became really established. Back then the area of Torremolinos was the height of sophistication where you could rub shoulders with the likes of Grace Kelly and Frank Sinatra! Costa del Sol’s rapid increase in popularity is reflected in both the higher property prices, and costs of living. This is why we recommend having a minimum budget of €150,000 to really make the most of buying a property in this area. You will have undoubtedly heard of the biggest and most popular city in Costa del Sol, Malaga, that has prominent positioning right in the centre of the costa. The city is an extremely popular choice for expats, being home to over 100 different nationalities. For those looking to make a permanent move from the UK, this means that it is often easier to find a job as an English-speaker – something that may help towards the higher costs of living in the area. The city’s large airport also makes it a popular destination for weekend breaks. What better way to spend a weekend than taking a quick flight to the sunshine of the Costa del Sol? Those who choose to invest in a property in Costa del Sol also have the opportunity to distance themselves, if desired, from the busy resorts by benefitting from the unspoilt Spanish culture of the peaceful villages and endless fields of olive trees that reside nearby. The hills behind the busy beaches and resorts are thronged with properties ranging from multi-million euro villas, to apartments starting from €150,000. For those with a larger budget, Costa del Sol really does have it all! For more information on Costa del Sol, and to view a selection of our Costa del Sol properties, click here >>. I’ve decided on a region that suits my budget, what’s next? Depending on the area, house prices in Spain can sometimes be steep. Because of this, you may decide that for properties in your desired region, you need a little extra financial help. At Spanish Legal Homes we can advise you on the best finance options for you. Whether that’s UK or Spanish financing, our expert advisors can help answer your queries and guide you through the process of sourcing the suitable finance required to purchase a Spanish property. Once your finance is in place, the best thing that you can do is get out to Spain to view properties for yourself! Our expert agents conduct weekly all inclusive viewing trips where they will show you 8-10 properties per day that exclusively fit your budget and location requirements. During the 3-4 day trip, they’d be more than happy to share their knowledge of the local areas with you to help you make an informed choice. Our viewing trips are just £99 per person, find out more or book your trip here>>. If you have the funds in place, and have found your dream home in Spain, you will need to transfer the money into euros. Banks can charge around 4% (£4,000 on a £100,000 transfer), so to save money we can put you in touch with A Place in the Sun Currency who only charge around 1%. To register with them, call 0800 622 6522 and quote ‘Spanish Legal Homes’.